A post work out snack is a good way to extend the benefits of your hard work. The optimal time frame for that snack is about 30 to 60 minutes post exercise. This is sometimes called the anabolic window. Take in some protein and fast digesting carbs during that time. Don’t skip the carbs because they help your body replenish energy. 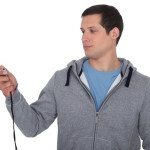 Observing this practice also means your body will not be forced to use your muscle tissue for energy. Here’s what else you need to know. Proteins are made of amino acids. These are the building blocks needed for synthesizing muscle. You need at least 20 grams of protein post workout. 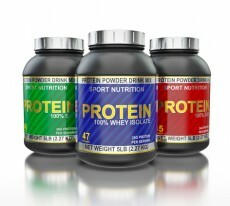 A good source of protein on the go is a high quality whey powder. 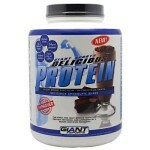 Some experts encourage a combination of whey and casein. Your body is primarily concerned with recovery, preparation and rebuilding post exercise. Protein, along with carbs and fiber, support this process. During and after exercise there must be a balance between protein breakdown and protein synthesis, or the making of new proteins to encourage muscle adaption that makes you stronger. Intake of appropriate protein minimizes breakdown and maximizes synthesis for greater strength gains. 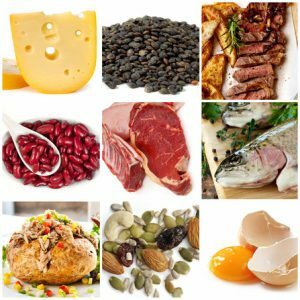 According to Deborah Schulman, Ph.D., in her article Get Enough Post-Workout Protein: Attention to nutrition must continue well past the immediate post-exercise period. 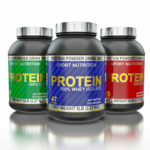 Four hours after a bout of strength training, protein synthesis will be increased by 50 percent. After 24 hours, it is elevated by 109%. It doesn’t return to baseline until 36 to 48 hours later. Undernutrition will limit this process. 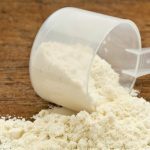 Whey and casein powders – add a scoop to your sports drink, yogurt or chocolate milk. Beans and dairy are also good sources – try a couple of black bean cakes with a dollop of sour cream. Protein bars are also good on the go. Your overall diet also matters so be careful to choose and add quality protein with every meal and snack. Protein promotes satiety and dulls hunger. That may mean you are less likely to binge and more likely to choose foods that support your fitness goals. Aim for between 50 and 80 grams each day depending on your gender, weight and how often you work out. If your protein is derived primarily from plant based foods you will need to consume about 20% more to get the benefits afforded with animal based protein.